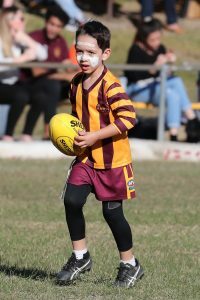 After months of planning our Inaugural Indigenous Round Event it all came together yesterday. 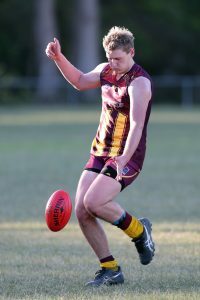 On a beautiful sunny day at Hillsborough Oval the Hawks played host to Muswellbrook in Reserve Grade and Ladies games while the seniors battled the newly promoted to first grade, Maitland. Some of the highlights of the day included. Specially designed jersey that plays tribute to the Awabakal land and people being presented to players by the major sponsor of the day Yarnteen. Two jerseys that had significant meaning were Jackson Terley playing his first senior game for the club and another being Zac Metcalfe playing his milestone 100th game. Congratulations to both men. 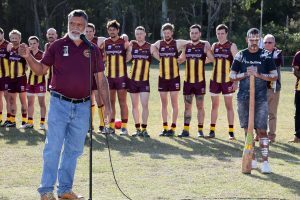 The official ceremony was presented by elder Ray Kelly which was a great reminder of how the game can unite a community. 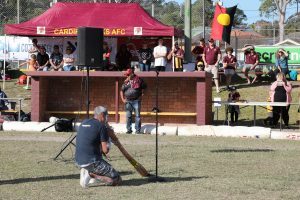 Ray’s son Bud concluded the ceremony with a powerful performance of the didgeridoo that had the children mesmerised and the crowd moved. The hill was covered in kids participating in the Awabakal Interactive tent as they awaited their Auskick game. Bud did a fantastic job painting kids faces, teaching didgeridoo, painting Indigenous artwork on canvas and as well as giving loads of give always to the young ones. 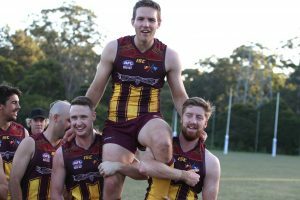 The day was celebrated particularly well with the Hawks out performing their opposition in all three games in front of the strong crowd. Commiserations to Abbey Cooksley who re fractured her collar bone that ended her 2017 season, we wish you a speedy recovery Abbey. The event moved to The Duke Hotel for the evening where Warwick Thompson hosted proceedings that saw Yarnteen honoured for their sponsorship by being presented a framed Hawks indigenous Jersey. A really special moment on the night was Michael O’loughlin popping up on the big screen and announcing to the Hawks crowd that he is honoured in having the best on ground medal named after himself and how impressed he is with the Hawks Indigenous designed jersey. 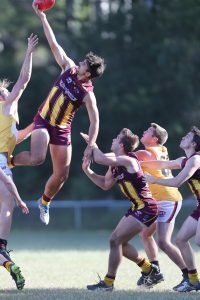 Coach Harkness then announced young big man Andrew Walker as the Michael O’Loughlin medalist after a brilliant performance up forward. 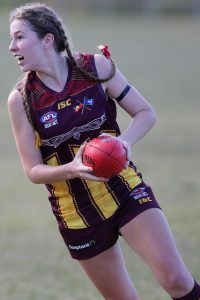 Coach Choppa awarded his Reserve Grade medal to Callum Spoor and Coach Cooksley acknowledged Eva Bailey’s impressive game by awarding her the Indigenous Best On Ground Medal. Closing the formalities saw a lucky member win the auction prize that was the Lance Franklin, Adam Goodes, Michael O’loughlin and Isaac Heeney signed and framed Hawks Jersey. The Cardiff Australian Football Club would like to acknowledge the fantastic efforts of Warwick Thompson and his lovely wife Leanne in planning this event. We also thank Yarnteen, Awabakal Cooperative, NSW/AFL, DJ Trevor Simpson and all the family and friends who attended yesterday’s events.